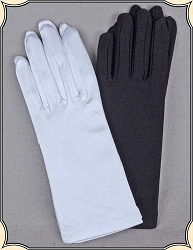 Perfectly paired with a 3/4 sleeves or sleeveless gown, these elbow length gloves will add the elegant touch. 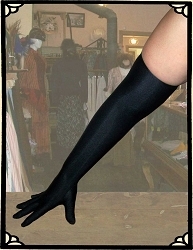 Wonderful shoulder length nylon gloves. Add a bit of shine to your Ball Gown or Party Dress. 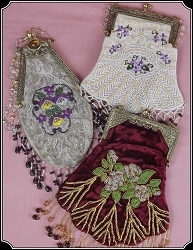 Fancy and lovely, these little Victorian style purses or reticules will carry your modern essentials. 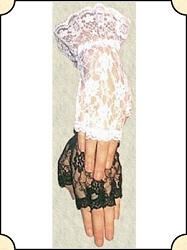 Perfect for your young Victorian Lady or large Child, available in White or Ivory. 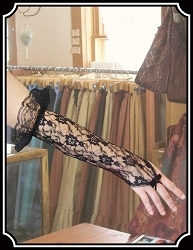 Delicate Victorian style lace with a ruffle at the wrist and fingerless will dress up any outfit. 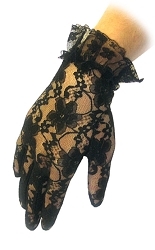 Our lace gloves for ladies are available in one-size-fits-most. 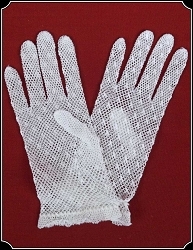 These delicate gloves add a truly elegant touch to your finest outfits ~ available in white or black. 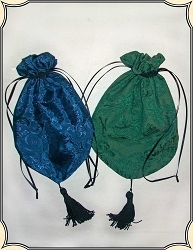 These Lovely Victorian Reticules are made of Satin Brocade and large enough to carry a few coins, hanky, or some other small treasure. 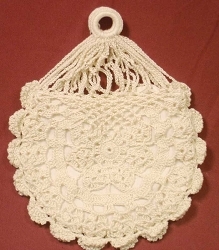 Beautiful and delicate, this Victorian styled reticule is large enough to hide your modern essentials.